Egress windows could be lifesaving in the case of an emergency or fire. These windows are easy to open and serve as an emergency exit for your basement. During a fire your stairs could be blocked and an egress window will allow you an exit from your basement. Egress windows are no more than 44" from the floor so they are very easily accessible. Egress windows also allow you the feeling of fresh and natural light in your basement. We offer you full installation from the excavating to the finished product. Our trained professionals are dedicated to giving you exactly what you want and we guarantee that you will always be satisfied. Some of the cities we serve are Milwaukee, Waukesha, Madison, Kenosha, Racine, Janesville, Beloit, Ashippun, Oconomowoc, West Allis, Brookfield, Delafield, Hartland, Menomonee Falls, Mukwonago, Muskego, Pewaukee, Sussex, Germantown, Grafton, Mequon and New Berlin. 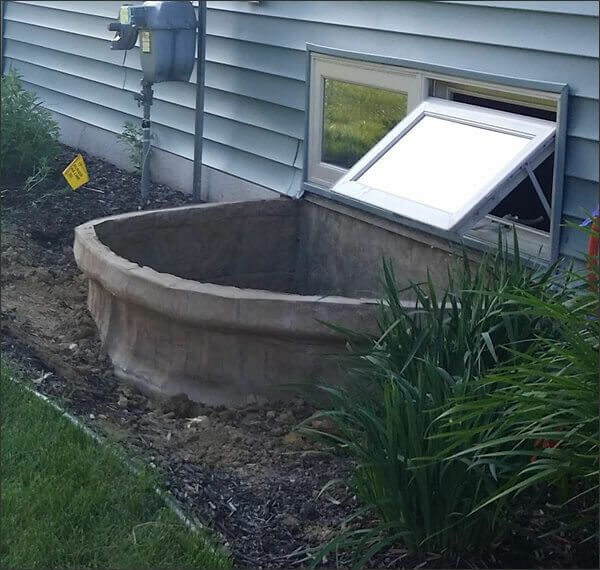 To learn more about our exceptional egress window installation services call us at 262-751-6283.